Posted on March 12, 2014 at 12:00 am. When Thing 2 began to get horrible eczema patches along the diaper line of her sensitive formulation disposable diapers, we knew it was time to finally take the leap to cloth. The biggest question was, what brand should we choose? If you’ve ever looked into cloth diapers you know that, between commercial brands and WAHM diapers, there are about 3.7 million options, gave or take a million. For us, the answer was, apparently, simple: My husband chose Rock-A-Bums because, “They have one that looks like a storm trooper!”…Turns out, his logic was sound. Read on to find out why, see the BRAND NEW PATTERNS, and enter to win your very own rockin’ stash. Ok, I’ll be completely honest: the “storm trooper” diaper was just what drew my husband in. What sold him was the fact that, because they had just released their 2.0, Rock-a-Bums was selling their 1.0 diapers for 50% off. Those two facts somehow made all the columns in the spreadsheet my engineer husband had made add up just right. Before we move too much farther, a bit about Rock-a-Bums. 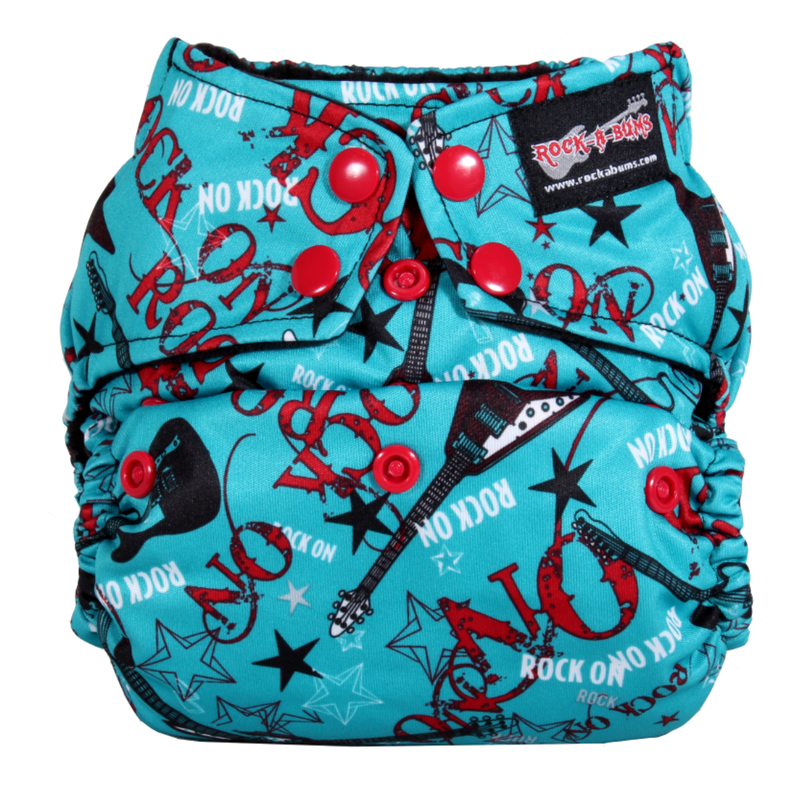 The Rock-a-Bums diaper is a 5-in-1 diaper, meaning it can be used as an AIO, AI2, Pocket, Hybrid or Shell. In the beginning, I thought this versatility actually wasn’t a huge deal because I knew I wanted to use it as an AI2 and had no use for the other options. Oh how wrong I was! 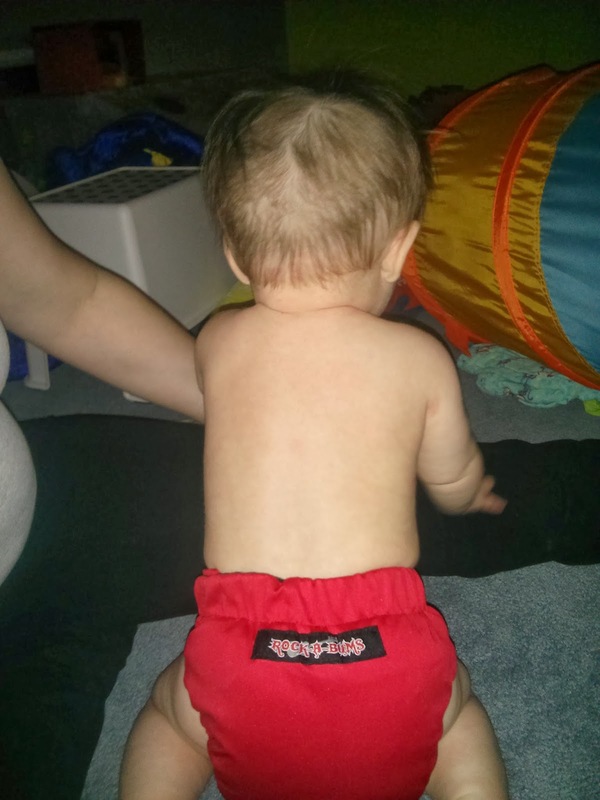 In the 4.5 months we’ve been cloth diapering, I’ve used our Rock-a-Bums as AIO, Shell, and AI2, and it’s great that I can get so much mileage out of a single diaper! 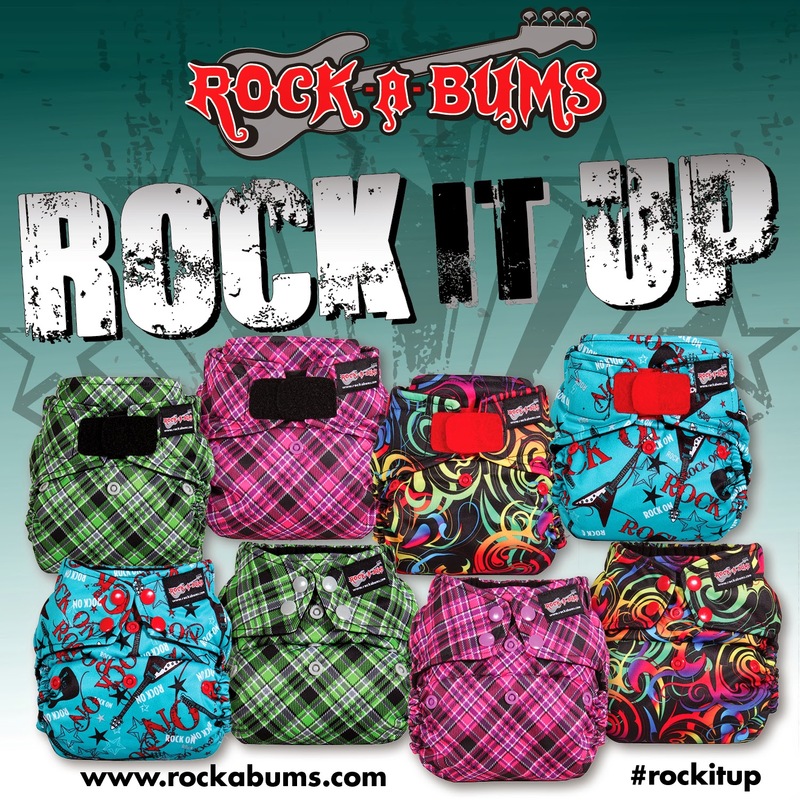 Read more about the Rock-a-Bums brand here. The first thing I noticed when I opened our 1.0s was how incredibly soft the fabric was. I’m talking inner, outer…all of it. Since one of the main reasons we were starting down the cloth track was because of Thing 2’s incredibly sensitive skin, the quality and softness of fabric was a huge factor. I was a little intimidated by the snaps, because I was convinced that I would like velcro much better, but really, once you figure out what settings work for your little one, snaps aren’t bad. I even kind of grew to like the hip snap, because I felt that I could get the diaper to fit just right around the legs as well as the waist. The new lining fabric, while not quite as soft as that in the 1.0, dries a bit faster. The inner pocket is open at either end, which is helpful if you’re using it as a Pocket. The addition of a layer of PUL to make a “tummy panel” inside the front of the diaper. Less snaps to adjust (although I have somewhat mixed feelings on this, as I loved the adjustability of the hip snap on the 1.0, less snaps means a quicker change, which is good when your child refuses to be still). Overall, I’m truly satisfied with Rock-a-Bums. They pack a great bang for the buck, have a unique style, and the company’s customer service is amazing. 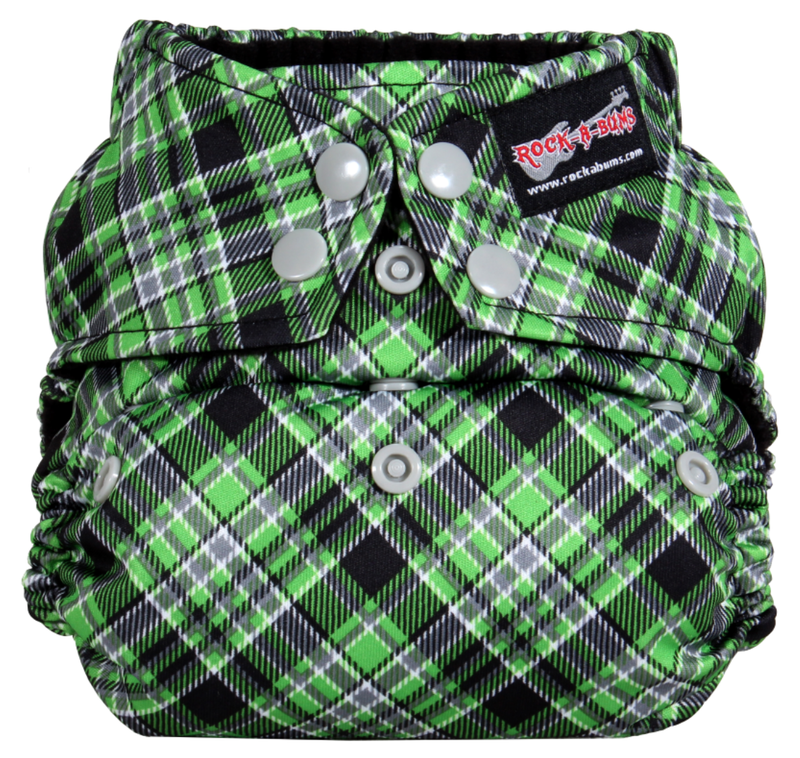 The one area that I found Rock-a-Bums to be a bit lacking was design options. Up until today, you could choose Black, Red, or White. No prints. I found myself longing for a bit of variety. Well, guess what? Today, Rock-a-Bums has delivered! In addition to the solid colors, you can now choose between four new prints: Blue Velvet, Punk Plaid Green, Punk Plaid Pink and Zanadu, and you can get all of these prints in either snap or velcro. Are you ready for even more great news? Now you can enter to win a “From Birth to Potty Learning” stash of 9 covers, 18 inserts and 60 hybrid inserts. Awesome, right?! Go Rock It Up! I ordered my Rock a Bums before you wrote this review, but I stumbled across it while looking to see if anyone else had trouble with the velcro. Glad I’m not alone. I guess when my babies get big enough to take off their velcro diapers, maybe I’ll appreciate it, but the nylon is peeling away from the hook & loop fabric on my velcro tabs because the velcro is too strong. I have to undo the velcro before I put it under the baby and then if it re-sticks before I’m ready, it’s hard to get off. We have more leaks in this diaper than any other brand too. They were the first ones I bought when I got pregnant and we decided to cloth diaper, but now they’re my “backup” diapers, and the last ones we reach for. I really wanted to love them.